What do you do when you're attending your own funeral but can't tell the love of your life that you're there, perfectly alive? Your wife doesn't recognize you because you look slightly different. Well, more than slightly. You're now a dog. 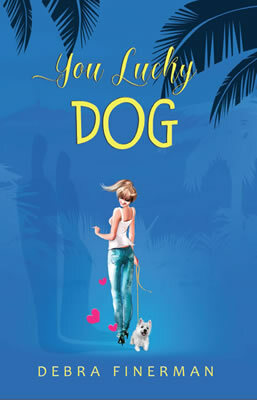 You Lucky Dog is the unlikely love story of Jake and Emma, a young couple thrown into a very unusual situation. Jake and Emma appear to have everything going for them. A young married couple, they live with their dog in the leafy suburbs of Los Angeles. But after a horrible accident changes the course of their lives forever, Jake finds himself alive but living outside his body, and in the body of his dog. What follows is a hilarious and heartwarming tale of misplaced identity. You Lucky Dog explores the mysteries of life and death, and the enduring power of love, in a heartwarming story for animal lovers and all lovers.